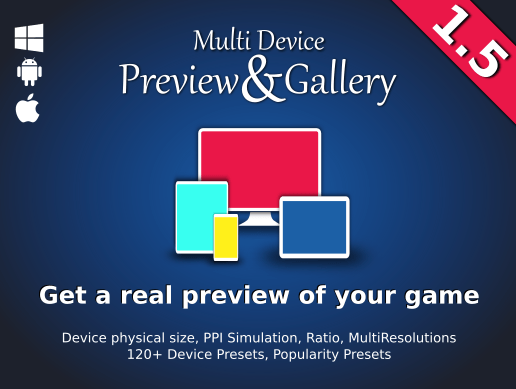 Multi Device Preview & Gallery gives you an accurate preview of your game for multiple devices, resolutions, and aspects, at a glance. Preview at the device’s physical size to check that your game content and UI are properly scaled, and use the resolutions and ratios previews to see how your game looks like on several configurations. This is the very essential tool for developers making applications for multi resolution devices, like mobile developers. No more bad surprises, no more tedious checks, no need to buy dozens of devices. This asset will save you a lot of time, which you can use to focus on your game! 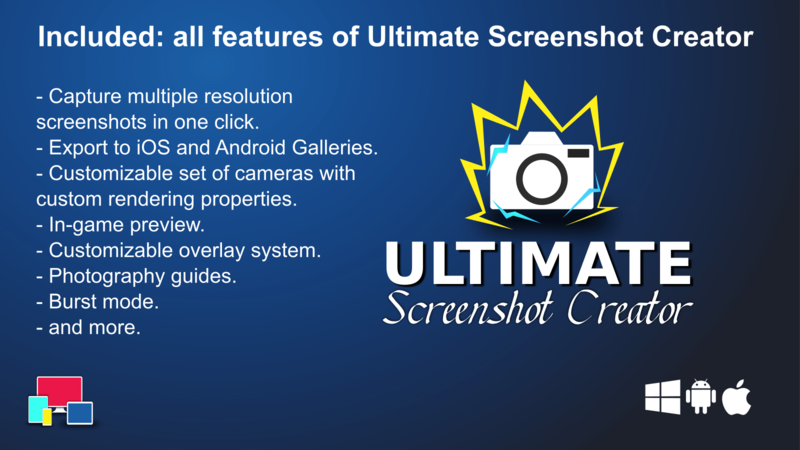 Included: all features of Ultimate Screenshot Creator. 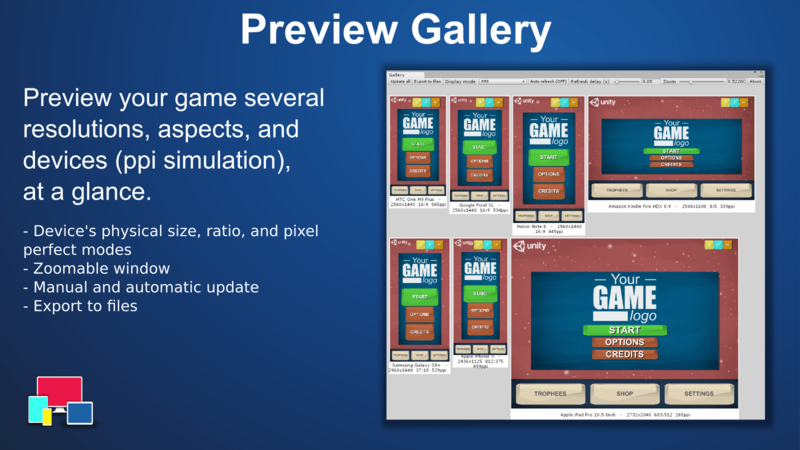 Use the Gallery to preview your game at several resolutions, aspects, and devices (ppi simulation) at a glance. Edit your game and GUI and preview your modifications for all selected targets. 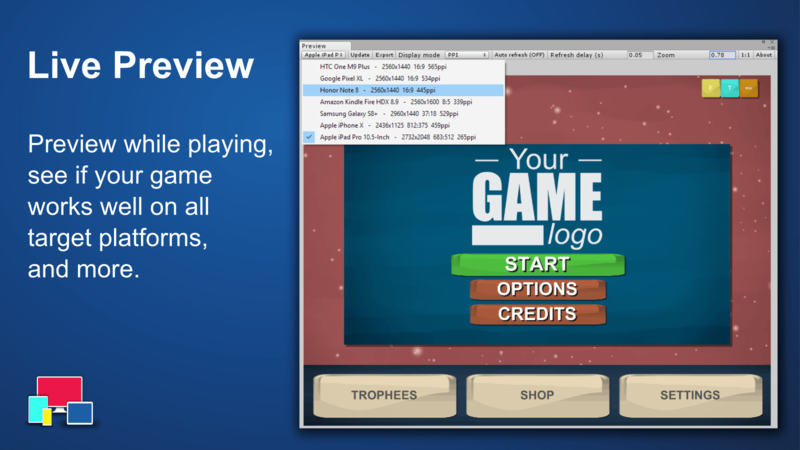 (NEW) Play your game and check that everything looks fine on any device with the Live Preview. (NEW) Automatically add your target devices to the GameView presets to play or edit at the device resolution. 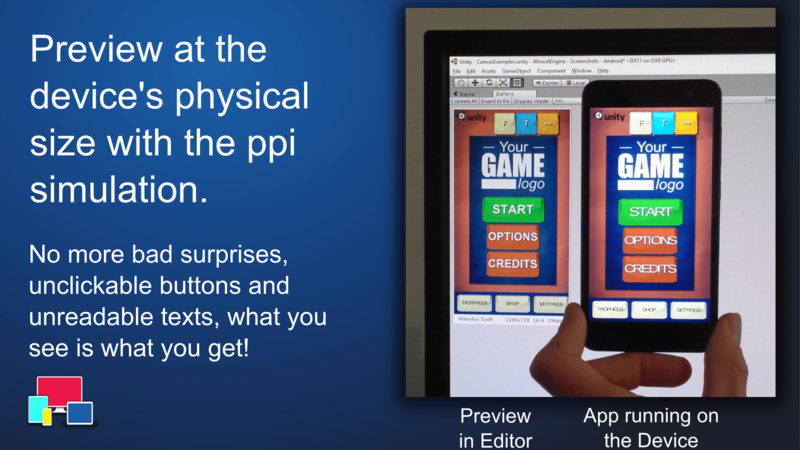 Preview at the phone physical sizes with the PPI simulation, to better scale your GUI content. No more bad surprises, unclickable buttons and unreadable texts, what you see is what you get! 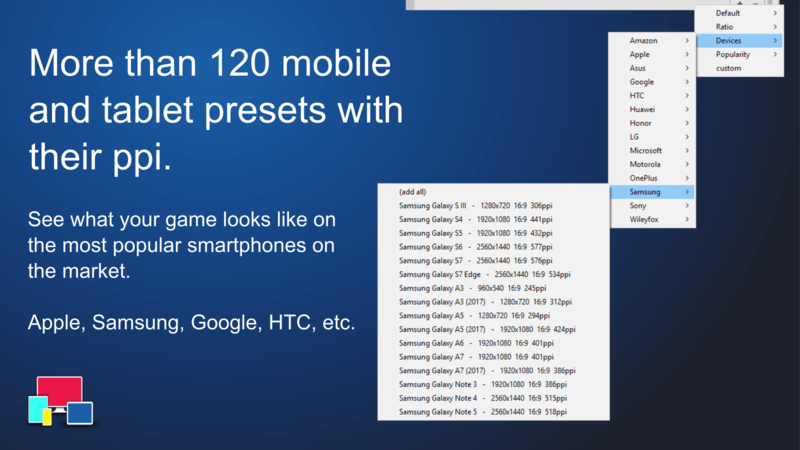 More than 120 phone and tablet presets, including the most popular smartphones on the market: Apple, Samsung, Google, HTC, etc. 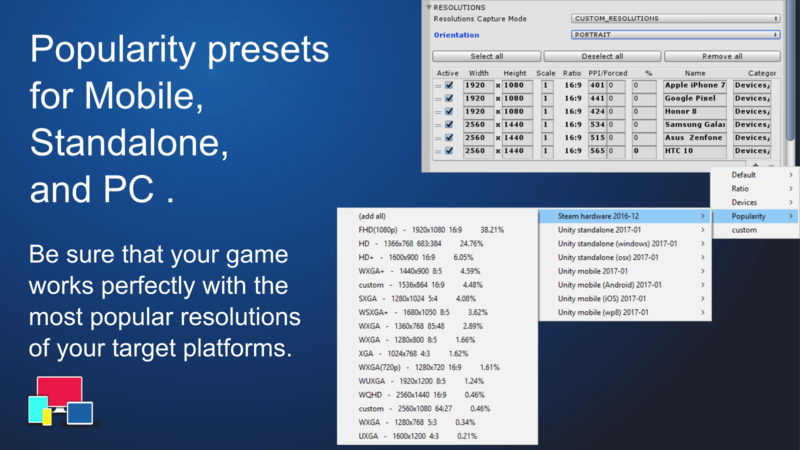 Use the Mobile, Standalone and PC popularity presets, to be sure that your game works perfectly with the most popular resolutions of your target platforms. 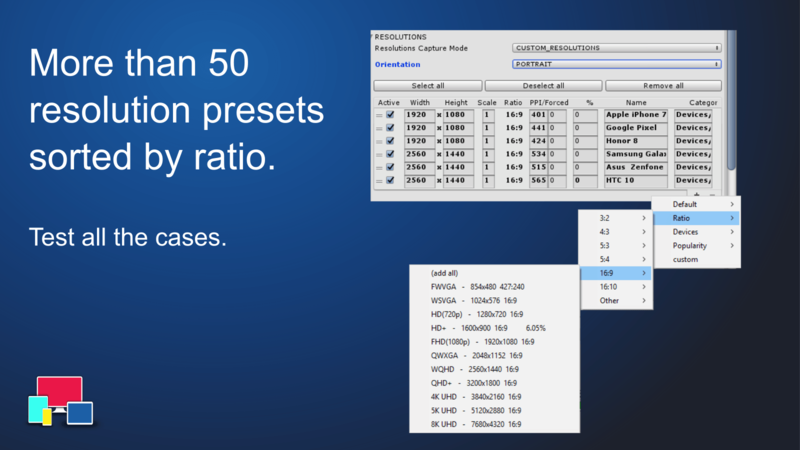 More than 50 resolution presets sorted by ratios to test all the cases. 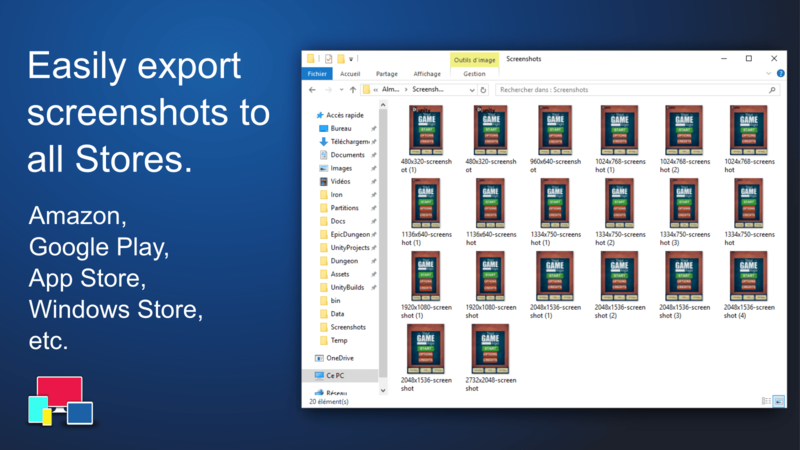 Easily add your custom resolutions and devices. Reactive and efficient customer support.